After days of speculation about who would take the coveted title from Chris Hemsworth, David Beckham has been named PEOPLE's Sexiest Man Alive 2015. 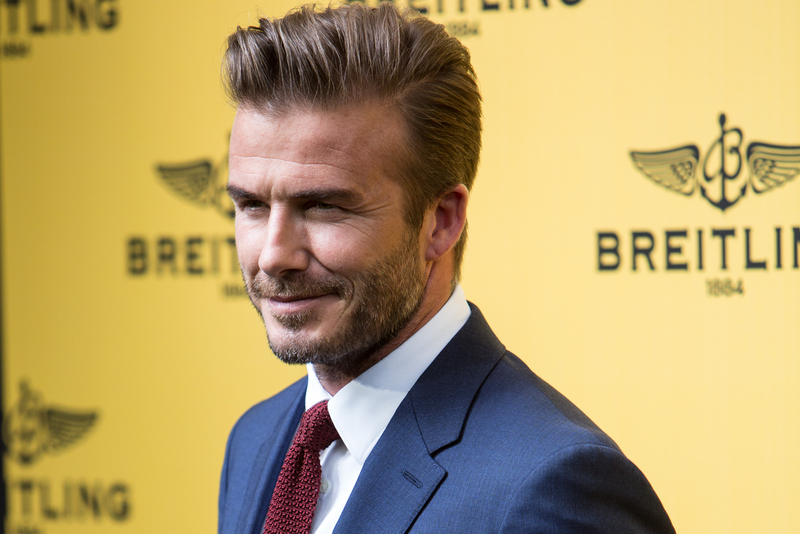 And, the only person who's really surprised about it is Beckham's sixteen-year-old son, Brooklyn — the British soccer star revealed during Lifetime's Sexiest Man Alive Special that his son didn't believe him when he first heard the news. Since 2015 marks the thirtieth year of the competition, Lifetime also took us on a walk down memory lane about the history of PEOPLE's Sexiest Man Alive. Unsurprisingly, several men have won the competition multiple times — Richard Gere, George Clooney, Brad Pitt, and Johnny Depp have all been named Sexiest Man Alive twice. The franchise began after an editor walked into a meeting, saw a photo of Mel Gibson, and casually commented that he was "the sexiest man alive." In 1985, Gibson was officially named PEOPLE's Sexiest Man Alive and the rest is history. John F. Kennedy, Jr. was named Sexiest Man Alive in 1988. Cagle describes him as "American royalty" and it was the first time a non-entertainer won the competition. Since then, the winners have overwhelmingly been actors. The two exceptions are singer-songwriter Adam Levine, who won in 2013, and of course Beckham. In 1993, PEOPLE named a Sexiest Couple Alive rather than a Sexiest Man. The award went to Richard Gere and Cindy Crawford, who married in 1991 and were both excelling in their careers. Unfortunately, they split up in 1994 — and, since then, the magazine has stuck with their original formula. No one was named Sexiest Man Alive in 1994 — but it wasn't due to a lack of options. Cagle revealed that the frontrunners that year were Hugh Grant, Jim Carrey, and Keanu Reeves. So, who would have won? Cagle's answer was Reeves, thanks to his breakout role in Speed — the movie which also brought Sandra Bullock into the public eye. So, as we congratulate Beckham, let's also give a belated congrats to Reeves. Twenty-one years late is better than never, right?